"Do we turn, and explore?" 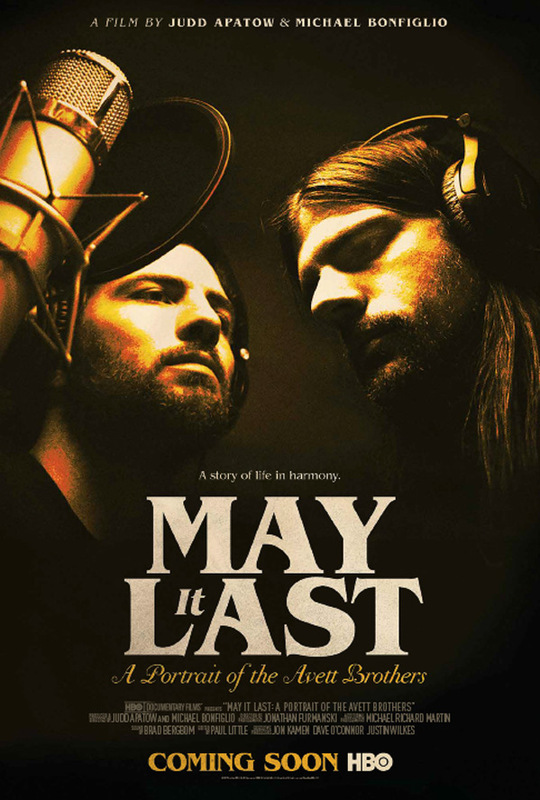 HBO has unveiled a new trailer for the documentary May It Last: A Portrait of the Avett Brothers, which is a film about the band known as the Avett Brothers, from North Carolina. We already posted a trailer for this last year, as it played in theaters for one night, but HBO is releasing it streaming in January hence the new trailer. This is an Apatow Production in association with RadicalMedia and HBO Documentary Films; and co-directed by fans Judd Apatow and Michael Bonfiglio. For those who haven't listened to them, The Avett Brothers combine bluegrass, country, punk, pop melodies, folk, rock and roll, indie rock, honky tonk, and ragtime to produce a novel sound. This is an "intimate documentary" that follows them as they create their 2016 album "True Sadness." Any/all music fans might want to take a look. From longtime fans (and filmmakers) Judd Apatow and Michael Bonfiglio and filmed with extraordinary access over the course of more than two years, May It Last is an intimate portrait of the acclaimed North Carolina band The Avett Brothers, charting their decade-and-a-half rise, while chronicling their present-day collaboration with famed producer Rick Rubin on the multi-Grammy-nominated new album "True Sadness". With the recording process as a backdrop, the film depicts a lifelong bond and unique creative partnership, as band members undergo marriage, divorce, parenthood, illness, and the challenges of the music business. More than just a music documentary, May It last is a meditation on family, love, and the passage of time. May It Last: A Portrait of the Avett Brothers is co-directed by filmmakers Judd Apatow and Michael Bonfiglio (From the Ashes, "30 for 30"). Oscilloscope first premiered May it Last in theaters for only one night last September. HBO will now debut the doc starting on January 29th later this month.